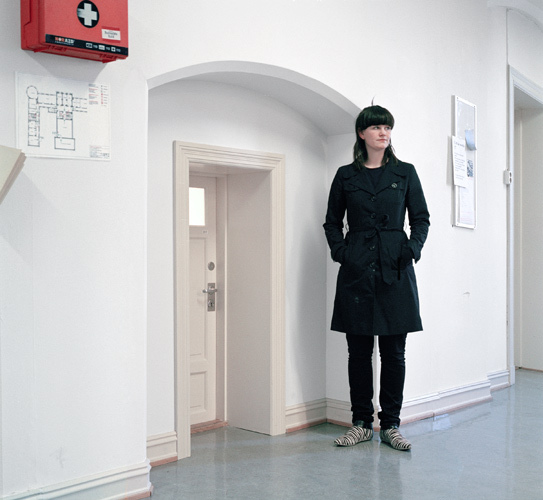 The work Hokuspokus was devised in 2005 during Stefan Eichhorn's first of two semesters as a visiting student at the the Statens Kunstakademi (SKA) in Oslo. The academy was in the throes of being taken over by the far larger Kunsthøgskolen i Oslo (KhiO) and duly integrated as a faculty, ultimately resulting in the total forfeit of its autonomy. In April 2005, its director, Michael O'Donnell, was replaced by the new dean of the visual-arts faculty of KhiO, Ståle Stenslie. 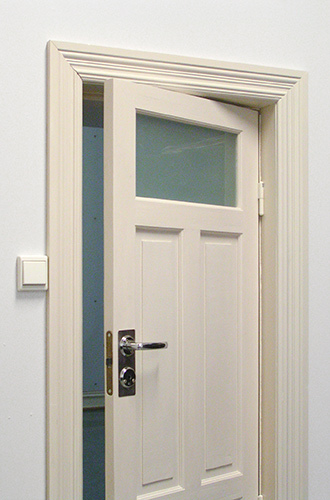 In May 2005, Stefan Eichhorn reduced the door to Michael O'Donnell's office to 60 % of its original size. 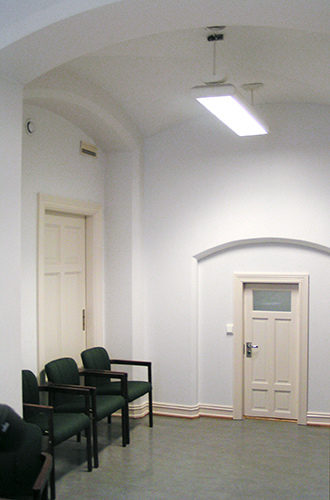 The exact copy of the entrance area incorporated all the details: from the reduction of the room number glued to the door, to the scaled-down alteration of the light switch in the office itself. After months of preparation, Eichhorn »shrank« the door »overnight« by fitting the new construction during a prolonged holiday period surrounding the Norwegian Constitution Day held on May 17th. Michael O'Donnell only noticed the alterations to his office on the next day back at work and continued to use the new door to his office for several months.